Being a self-published author is not easy. I don't pretend to know everything and I don't pretend to be super successful. But what I can do is offer can a few simple and easy tips that made my life easier and may work for you if you'd also like to become a self-published author. 6) REMEMBER, readers don't owe you anything. They're giving up their free time to read and review your book. The reader/writer relationship is give and take. You give your readers a little love, they'll give you a little love in return. Not everyone, but the good ones will stick around. And while I understand that there will always be freebie hunters - those who want to take a free book and run - if you keep working hard enough to find those loyal readers, they will find you... especially if you follow rules 1-5 and build good ju-ju. Success won't happen overnight. And I can promise you that it hasn't worked that way for me. But I feel good about the author I'm becoming and I'm proud to say that I know plenty of my readers by more than their name and face and last review on Amazon. I feel good about the road I'm taking. And I'm excited to see where the next few months will take me. Have you guys seen the latest? 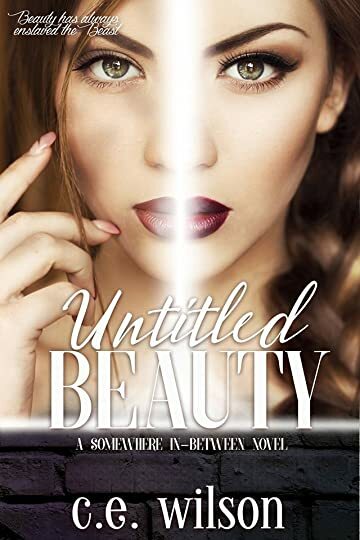 The cover for "Untitled Beauty" is up now! Maybe I should share the pre order link? Still not excited? Check out the official summary! Eleven. A name. A title. A sentence passed. If you aren’t a Beauty, you’re less than a person. You’re a commodity known as a Potential… and you only have so many chances to qualify as a human being. In her seventeen years, Eleven has seen the best and worst in humanity. She’s been passed around and abused by the bad. She’s hoped and dreamed for the good. And she’s despaired for the hand she’s been dealt. Now she’s been purchased by a wealthy man who has the ability to improve her life and help her become a Beauty – if she can put up with his erratic and controlling personality for long enough, that is. Complicating things is the appearance of a stunningly beautiful young man with amethyst eyes who treats Eleven to the rarest form of attention for a Potential: kindness. Does Eleven trust her powerful owner to help her escape this life of servitude and enslavement, or does she gamble everything on the enigmatic young man who seems to offer her more than she could ever imagine possible? Hehe, hopefully I got you now! Be sure to pre order your copy today and don't hesitate to spread the word! Please and thank you!